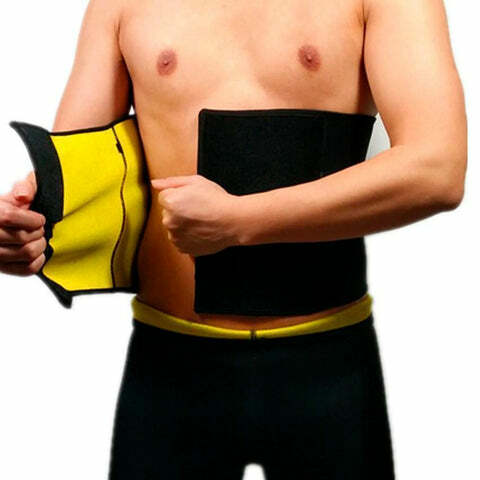 INCREASED METABOLIC RATE (lose weight faster) - promotes focused heat build-up, increased blood flow and heat retention in your focused core waist region during exercise, workout or your daily chores. This heat generation in your core area promotes weight loss by increased sweating and water weight loss during exercise and workout routines. 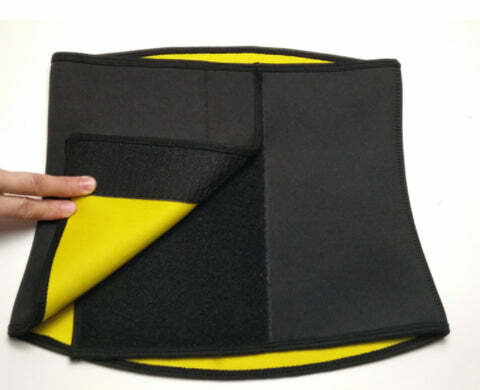 GREAT LUMBAR SUPPORT (keep perfect posture and eliminate any back pains) - Made of a flexible and elastic neoprene material the waist belt flexes and expands to give you continuous compression and great lumbar support and does not restrict or hinder movement. 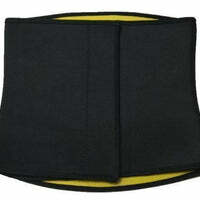 The lumbar support helps to keep the lower back supported during exercise and workouts and helps to improve posture. EASY ADJUSTABLE VELCRO FASTENER (easy to put on and take off) - for a firm hold and easy repositioning, to ensure continuous compression and optimal comfort and fit. 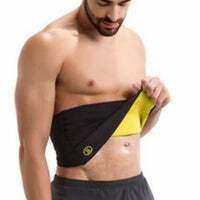 No slipping or bunching during workouts. 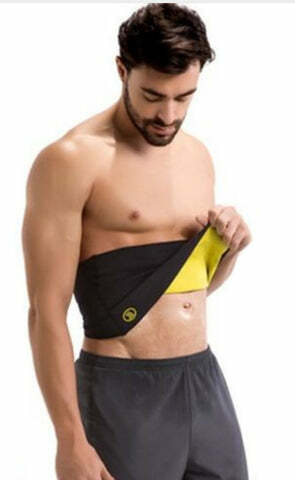 LIGHTWEIGHT - Made from 100% latex-free lightweight neoprene, for flexibility, comfort, support and durability. 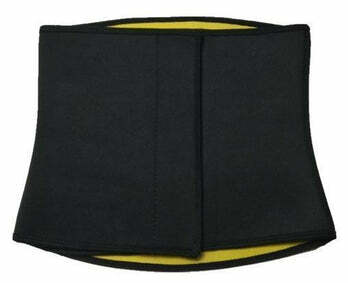 The flexible neoprene conforms to your body shape so that it can be worn under or over clothing. 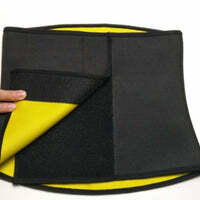 Hand washable in warm soapy water, comfortable, lightweight, durable flexible fabric.